A fantastic Sterling Silver oval belcher charm bracelet; opened and closed using a lobster clasp. This bracelet is perfect for those who want a vast collection of charms hanging around their wrist, and love the classic Charm bracelet. 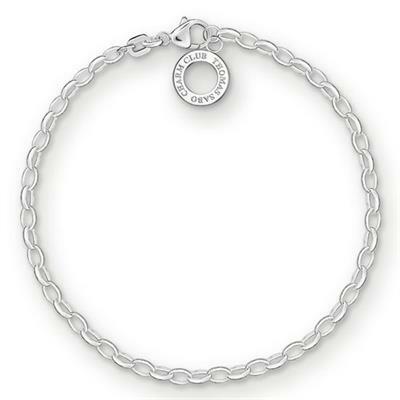 Dimensions: This bracelet is a size large which measures 18cm in length.